A zoning ordinance change to raise Reston’s population cap of 13 people per acre to 16 has been delayed. The Fairfax County Board of Supervisors was expected to officially introduce the proposal, which would increase population density in Planned Residential Community districts, today. New dates have not yet been announced. 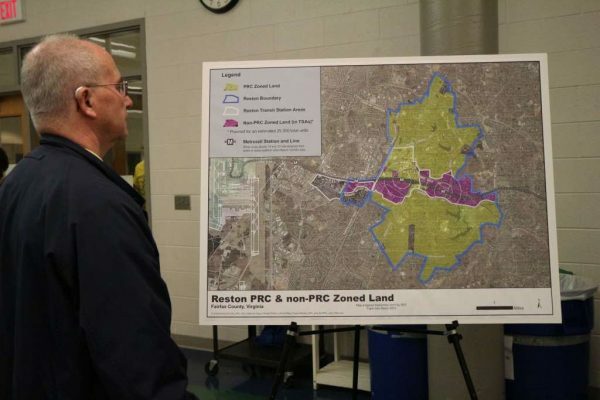 Earlier this year, representatives for community organizations, including Reston Association, suggested pushing forward the county’s schedule to allow more time to review the proposal. County officials have said the zoning change implements updates to Reston’s Comprehensive Plan in 2014 and 2015 that calls for targeted, increased growth in Reston Town Center, the village centers and TSAs around the three Metro Stations. The proposal has drawn vehement opposition from residents at two standing-room-only community meetings.